Before we get into the nitty gritty of what you should bring and what food and drink you should offer, the most important tip is to plan, plan, plan. 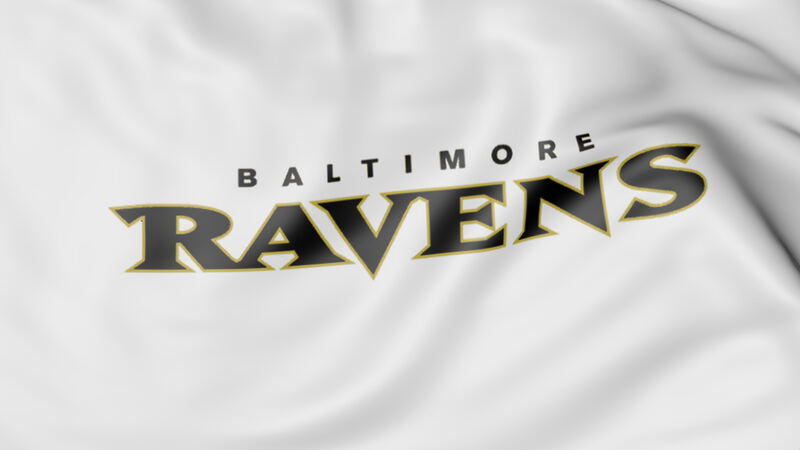 By taking a few minutes to jot down a list and schedule of all that needs to be done, you will ensure that you have all your supplies, Baltimore Ravens paraphernalia and food. Avoid having to rough it when you forget key comforts from home like the bottle opener or plates and cups. For example, taking the time to remember to pack empty bins for dirty dishes or trash can really make you feel like you are running a more sophisticated operation. Also make sure you have enough coolers and ice to keep all the drinks chilled and ready to go. It really is all in the details. And it is not just what your bringing that you should plan out. Also scout out the area where you will be tailgating. Take note of how far away the rest rooms are and other important logistics. This way if there are any logistically issues you can problem solve before the day of the tailgate. Beer and soda are usually the popular beverage choices for tailgating, but think about offering mixed drinks and wine too to add a little sophistication to the party. Your guests who are not beer drinkers will thank you for it. Even if you have a lot of beer drinkers, try to offer some variety in your beer offerings. Don’t just get a whole bunch of light beer. Mix in some craft microbrews that you know your friends and family enjoy. With an expanded beverage options, it is important to remember the cups. Glass at a tailgate party is too risky, but there are some nice quality plastic cups and plastic wine glasses that can do the trick. If you are a fan of Chaps Pit Beef’s menu as well as of the Baltimore Ravens then why not let Chap’s cook for your tailgate party. Chap’s menu offers crowd favorites as well enough variety to please the most discerning palate. Everything from main dishes to sides to desserts will be covered when you choose Chap’s for your next Baltimore Ravens Tailgate Party. What better way to celebrate all things Baltimore then with Baltimore Pit Beef. 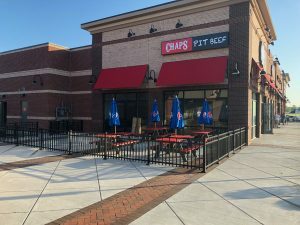 Chaps Pit Beef is a family-owned BBQ restaurant that has been in business since 1987 is the best bbq in Maryland. Chaps “Baltimore Style BBQ” method is what made their original pit beef sandwich so famous. To make a Classic Pit Beef sandwich, Bob uses a bottom round roast flat cut from the hind quarters which are a tougher, but more flavorful cut. He trims the gristle and silver off the meat and then applies a dry rub of different herbs and spices like paprika, salt and pepper, thyme and onion powder. He also adds whatever fixings the customer wants, including Chaps’ special tiger sauce which is a mixture of mayonnaise and extra hot horseradish. Your food is always cooked to order. Learn about Chap’s Baltimore Raven’s special tailgate offer here. When planning a tailgate party, the more is always merrier. Make sure to invite all your favorite fellow fans to come along so you can share in all the highs and lows of the game together. Ask everyone come in their best Ravens gear and be prepared to cheer the team on. You know Ravens fans are the best of the bunch. Make this the most fun football season yet. 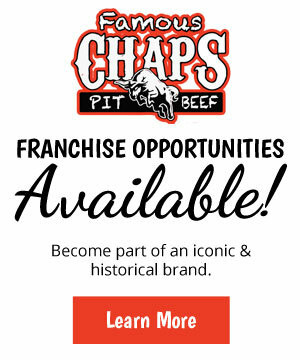 If you’d like to learn more about how Chaps Pit Beef can help you with planning the perfect Chaps Pit Beef tailgate party, visit their website or give them a call today.